Why is Russia calling up its military reserves? 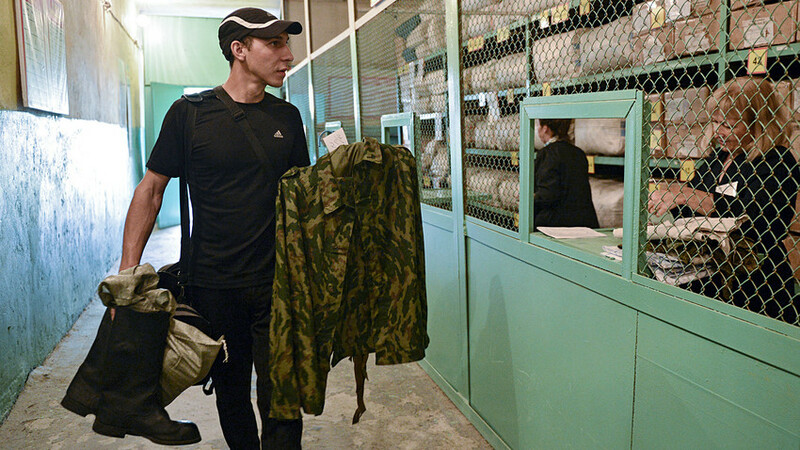 A reservist summoned for training, at the personnel reception facility of a base for storing, repairing and reconstructing military equipment in the city of Novosibirsk. 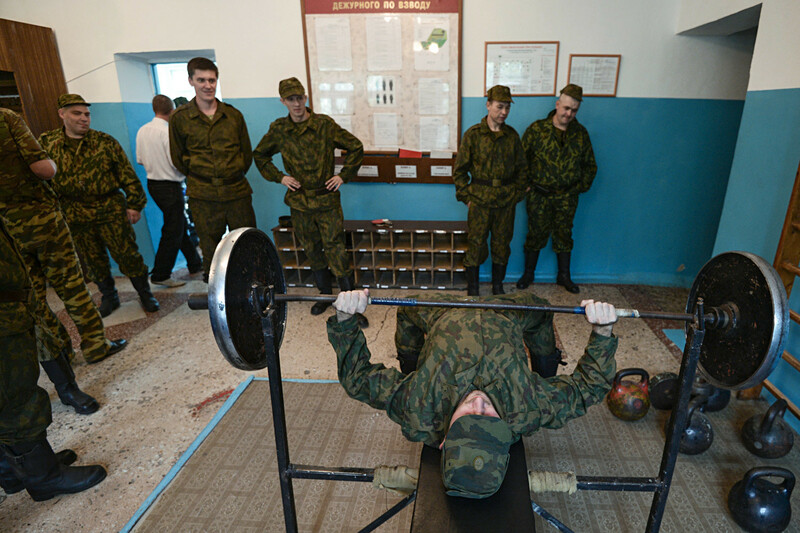 In a couple of months thousands of Russian men will trade their university seats and comfortable offices for a bunk in the barracks. On March 19, President Vladimir Putin signed a decree stipulating a military call-up for citizens in the reserves. “The main purpose is to refresh the skills that people forgot after finishing military service or graduating from a university military department, and not preparation for a full-fledged war or a military campaign in a third-world country,” said Dmitri Safonov, a former analyst at Izvestia newspaper. Each year the president signs a decree for a military call-up for citizens who are capable of doing military service and are in the reserve. Thus, about 5,000 civilians are added to the army for a period of two months. “They can be students in the final years of university that have military departments, and men with specialties and skills that the armed forces lack at the moment but greatly need for holding large-scale events. For example, during last year’s West-2017 large-scale maneuvers, besides the current servicemen, young people were called up who live near the drills,” noted the expert. Today, the army needs programmers and people with similar computer skills. And since the army obtains a significant amount of high-tech technology, more and more highly qualified specialists are needed to work and maintain it, said Safonov. The reserves will carry out all types of military activities along with their professional specialties. They will have to march, and go to a firing range. Some will have to learn to shoot pistols, automatic rifles, machine guns, sniper rifles; and some will just have to refine their skills. Mechanics will have to service trucks and armored vehicles. “A person has to be ready to carry out a certain task in the event of war. People with technical skills will have to drive and service tanks, armored personnel carriers and artillery systems. Some may even have to drive these machines onto the firing range,” said Safonov. Military experts say these maneuvers are done primarily so that people do not forget how to defend their motherland. Who can return to the army? Any Russian citizen who is in the reserve can receive a call-up notice. Basically, this can be any man up to the age of 60. “There haven’t been cases like this in peace time, yet by law it is possible. Generally, soldiers and junior officers in reserve are called up. These are people who are usually no more than 30 years old. Older people are not taken since there are manyyouth,” explained Victor Murakhovsky, editor-in-chief of the magazine, Arsenal Otechestva. 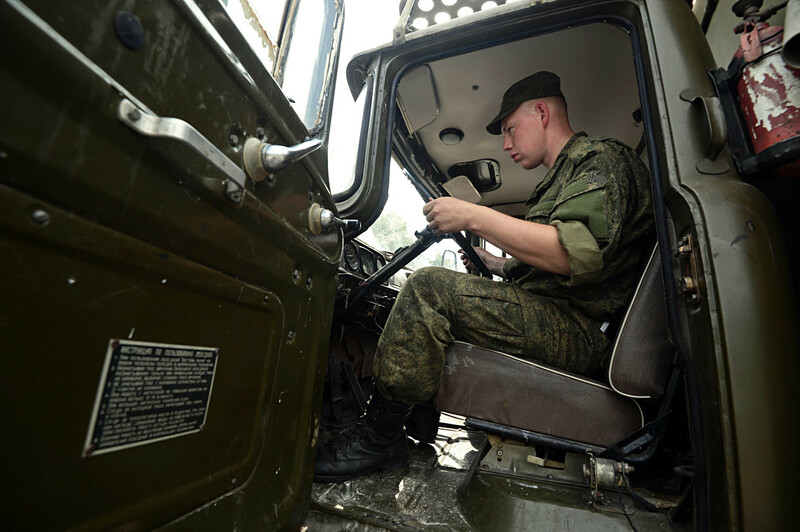 In his words, the servicemen in reserve who are in greatest demand, besides programmers, are specialists from the mechanized infantry, coast and missile troops, as well as engineers and communication operators. But again, the ones who are called up are those only needed in that particular time, or students from universities with military departments who need to do service in various military units. Also, people called up to do military service who were working in companies receive a daily allowance of $8-10 on top of their average monthly salary. “This is not a bad bonus for people from the Russian hinterland, where a good average monthly salary, in today’s money, is about $500. I stress that this is according to today’s exchange rate,” added Murakhovsky. Moreover, those called up for service can obtain an additional military rank if they work for it. “There is no criminal responsibility for refusing the call-up. Just an administrative warning or a fine of up to $10,” Murakhovsky concluded. How does Russia's top missile cruiser stand up to international comparison?